Slicker cables = slicker gear shifts. 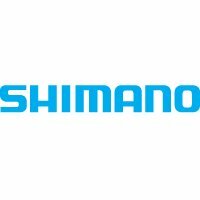 That's why you should consider Shimano Optislick cables. Optimised for Shimano 105 and Tiagra road bike shifters, these cables would make a superb upgrade for near any gear shifter / derailleur combo. The Optislick stainless steel inner cable has a permanent slick coating electrically applied so you can be sure this cable will slide smoothly throughout its long life. The Shimano SP 41 outer cable is axial wound, so it's stiffer than regular brake cable housing so it resists compression - again to facilitate slicker gear shifts. The outer casing is lined with a polymer sheath, then lubricated internally along its entire length with low-friction silicone grease to further reduce cable friction. Two 2,100mm long x 1.2 mm thick Optislick inner wires. End caps and rubber shields. You almost certainly also need cable cuttersto fit cables neatly.